Propolis, is natural resinous substance used in beehive as a protective barrier against bee’s enemies among them bacteria and fungi. For this properties were used in folk medicine all over the world since centuries for treatment of different types of wounds, burns and many others applications. The chemical composition of propolis is strongly connected with type of plant material available to the bees in different regions and climate. Chemical profile of propolis sample determines all biological activity of this complicated mixture and it is god indicator of its origin. We analyzed chemical composition of propolis samples from Poland and Eurasia (Ukraine and Russia) by two complementary techniques. Dichloromethane extracts, rich in apolar components, were investigated by GC-MS. More polar substances, which was presented in 70 ethanol in water extracts, were analyzed by UPLCA-PDA-TOF. In a results, main components of GC-MS analysed was wax alcohols and acids, some flavonoid aglicones (chrysin, pinocembrin and tectochrysin) and trace of essential oils substances. UPLC-PDA-TOF allowed to tracking free phenolic acid (mainly p-comuric, caffeic and ferrulic acids), their monoesters and glycerides and flavonoids. According to samples composition, most of them exhibited black poplar, aspen or mixed origin. ISNAD WIDELSKI, Jarosław , OKIŃCZYC, Piotr , SZUMNY, Antoni , SZPERLIK, Jakub , KULMA, Anna , SROKA, Zbigniew , SKALICKA-WOŹNIAK, Krystyna , MROCZEK, Tomasz . "GC-MS and UPLCA-PDA-TOF Profile of Polish and Eurasian Propolis". 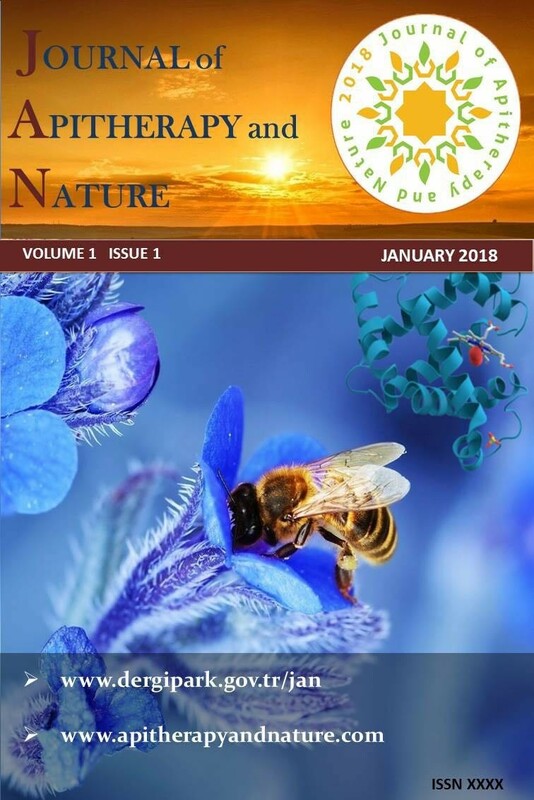 Journal of Apitherapy and Nature 1 / 3 (December 2018): 78-78.